This 4-bedroom villa for up to 8 guests is located in Pula and has a private swimming pool and. 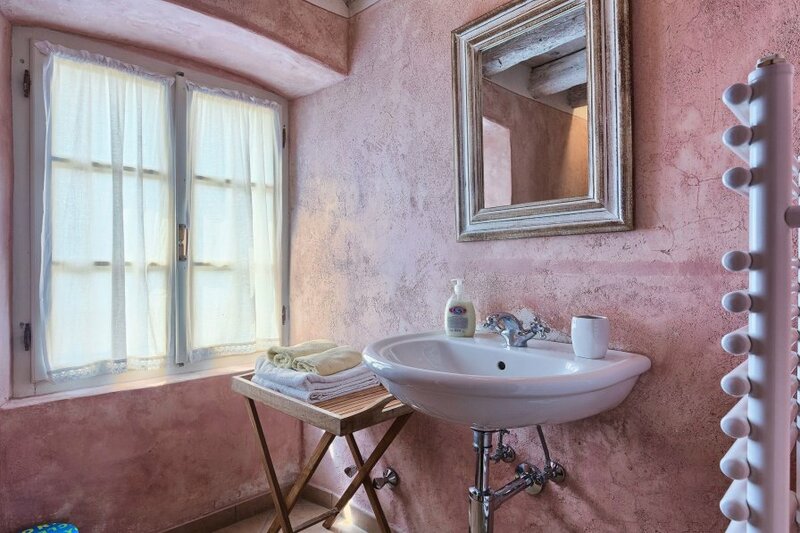 Authentic Istrian country house, perfectly renovated while retaining the original architecture. Situated in a beautiful and natural setting. Lovely location for relaxing and sunbathing, suitable for sports and nature lovers. Trekking and mountain bike tracks. Old, beautiful, rustic single-family house Altona, 3 storeys, renovated in 2009, surrounded by trees, meadows and fields. In the hamlet Stancija Negrin with 3 houses 22 km from the centre of Pula, 22 km from the centre of Rovinj, outside the resort, 3 km from the centre of Barbariga, in a secluded, quiet, sunny position, 2.5 km from the sea, 2.5 km from the beach, in a cul-de-sac, in the countryside. Private: property 5'000 m2, garden 400 m2 (fenced) with lawn and wildlife garden, meadow, lawn for sunbathing, swimming pool angular (10 x 5 m, depth 100 - 140 cm, 04.05.-21.09.) with internal staircase. Outdoor shower, terrace (20 m2), garden furniture, barbecue, children's playground (slide, swing). In the house: central heating system, washing machine, tumble dryer. Available: bicycles (2). Parking at the house. Shop 2 km, shopping centre 22 km, restaurant 2 km, cafe 2.5 km, pebble beach 2.5 km, rocky beach 2.5 km. Please note: private mooring (extra) on request. Possibility of trips by sailing boat with the skipper (on request, extra). Youth groups are not allowed. .
5-room house 235 m2 on 3 levels. Comfortable and rustic furnishings: living/dining room 58 m2 with open-hearth fireplace and satellite TV (flat screen). Exit to the garden. Kitchen (4 hot plates, oven, dishwasher, freezer) with dining table, open-hearth fireplace. Exit to the garden, to the terrace. Shower/WC. Upper floor: 1 room with 1 french bed (160 cm, length 190 cm). 1 room with 2 beds (80 cm, length 190 cm). 1 room with 1 french bed (160 cm, length 190 cm), shower/WC. Bath/shower/WC. Top floor: 1 room with sloping ceilings, ceiling height 120 - 230 cm with 1 french bed (160 cm, length 190 cm), bath/WC. Heating (extra). Terrace 20 m2, roofed. Terrace furniture, barbecue. Beautiful view of the countryside. Facilities: Internet (WiFi, extra). 1 pet/ dog allowed.